Sometimes you have to learn the hard way. When I wrote my first novel I was so excited to have written my story, and I was sure I was on a winner. But I made a rookie error- I sent the book to publishers way too early. I had missed some crucial steps in the writing-editing-publishing continuum, which I only realised once I’d learnt more about the writing craft. 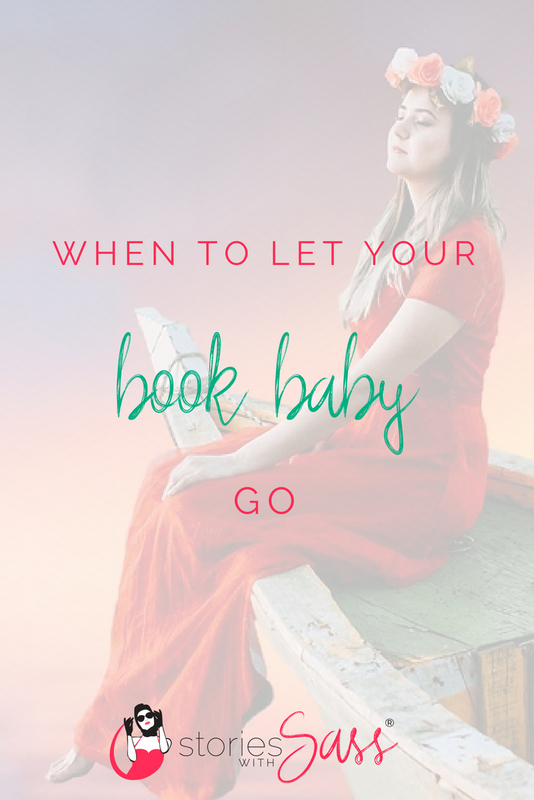 I’ve learnt a lot since then about writing and self-publishing, especially about when to let your book baby go. Have you let the manuscript ‘sit’? It’s amazing what you notice after a good break from your work. Sometimes what you think makes sense turns out to read like a jumble of random thoughts when you come back to it later! Have you done multiple edits for structure, character, setting/historical detail, consistency, sentence structure? Getting a book right involves a process of layering your editing to make sure your manuscript shines. I try and leave a month between each process, or if that is not possible, to work on something else then go back to the manuscript, so I review it with a fresh perspective. Have you had it read by a critique partner or beta reader? This is someone who reads a free copy of your book and gives you general feedback. Have you had the manuscript professionally edited? If you’re looking to submit to publishing houses a structural edit can be the best way to go, as the publisher will usually do the line edit for you. A structural edit looks at issues such as the flow of the manuscript and the rise and fall of the story arc. In contrast, a line edit involves reviewing your spelling, grammar and punctuation. If you answer yes to all of these questions, then it’s highly likely your book baby is ready to go out into the world. If you would like a second opinion though, then find a good mentor or book in with a writing coach for some honest and objective feedback. This is something I offer after a free 15 minute consultation which you can book here. Nothing helps you grow like experience, so don’t worry if you’ve sent a manuscript out too early. Revise then check the publisher’s website to ensure they allow for re-submissions, and if they do, what time gap you need between your original and revised submission. Be sure to note that you have significantly revised the manuscript since your last submission, and to refer to any feedback the publisher provided to you previously. Whatever you do, don’t give up on your manuscript. It will find a home, even if that’s one you make for it by self-publishing. Trust that there are readers out there who will want to read your story, and put your energy towards making it the best it can be.